Historical fiction is a risky genre, especially if the author is tackling a beloved American classic. 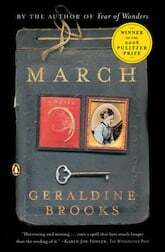 Geraldine Brooks presents a bold and provocative story centered on the “shadow” character of Louisa May Alcott’s Little Women, Mr. March, in her Pulitzer Prize-winning book, March (Penguin Books, 2005). She takes that risk a step further by fleshing out Marmee, the quintessential mother figure. March succeeds in taking characters of mythical proportion and bringing them down to earth, turning them into living, breathing people, vastly more interesting, with decided with feet of clay. Reader beware: you must be willing to set aside any pre-conceived, black and white notions about Little Women in order to appreciate March. Brooks places you in a decidedly gray-shaded world which is not for the faint of heart. Geraldine Brooks’ writing is aggressive: poking, prodding and shaking the reader out of complacency. March is not a leisurely read. 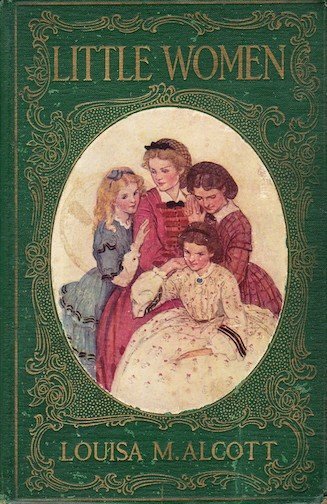 Set during the Civil War, the book opens with a letter March is writing to Marmee and the girls, taken from Little Women. The story moves quickly from “sweet words” to gruesome descriptions of battle and desperate escape. Right away March is placed in a compromising position in his effort to save a dying soldier, eventually having to let him go as they struggle together to cross the river. This is only one of many events that will torment March with guilt. “I was interested in what happens to idealists at war, people who go to war because of highly idealistic beliefs, but then find their ideals challenged by the very nature of war,” Brooks says. “I was thinking about this in the context of the Civil War. Brooks uses the life of Bronson Alcott to flesh out March. It’s the obvious choice: Bronson is the poster boy of impractical idealists. 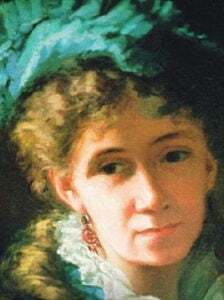 In an interview from the PBS American Masters documentary, “Louisa May Alcott: The Woman Behind Little Women,” Brooks admits to an “immense soft spot” for Bronson. Bronson’s life story, beginning with his youth at Spindle Hill in Connecticut, followed by his career as a peddler in the South, and culminating with his vocation as an educator and reformer, shapes the life of March. 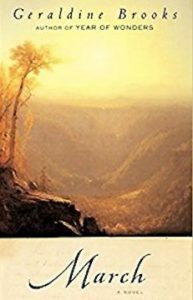 Using the setting of the war that rocked the great American Experiment to its core, Brooks uses Bronson’s story along with the consequences of this war to do the same with March, challenging the very essence of his pure and idealistic spirit. March explores several themes including the horror and insanity of war, loss of innocence due to moral failure, the meaning of courage and the necessity of compromise. Brooks is merciless in her descriptions of war, injury, and death. Disquieting and disturbing, she paints the Civil War with a broad brush of senselessness and cruelty. There are no heroes, no noble cause to cling to, no real sense of right or wrong, and no meaning nor comfort to be found. War is simply chaos. March’s loss of innocence is the personal story of this war. The clash of idealism with reality is violent, and the result is that the idealist is quickly reduced to a frail man wrought with faults and failings. Not only are March’s values challenged in the public arena of war and slavery, but in the private as well. Although March is deeply in love with his wife Marmee, he is also in love with a slave woman he meets in his youth, Grace Clement. Having met her on one of his peddling trips, he now keeps a lock of her hair along with the locks of Marmee and his daughters, in an envelope close to his bosom. Lapses in courage haunt March as well. Fear and his instinct for survival undercut his idealism, resulting in two deaths and great suffering for others. In lamenting his own weakness, March recalls the daughter with the deepest capacity for courage, his little Mouse, Beth. Overcoming her extreme shyness, Beth befriends a slave girl, Flora, hidden in the March home. Beth is the only one Flora will open up to. As a result of the strong bond between them, Beth summons the courage to protect her by standing up to the magistrate who wants to take Flora away. Through the examples of March and Beth, Brooks demonstrates the need for self-sacrifice as the only means by which true courage can be found. March discovers to his deep shame and horror that he does not have that capacity. Impractical idealist that he is, he never takes into account how lofty ideas will play out in the arena of life. March is not the only character who is all too human. Part One of the book, narrated by March, ends with March desperately ill in a hospital. Part Two therefore switches to voice of Marmee. 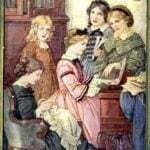 As depicted in Little Women, she goes quickly to Washington to be by his side. It is here that she too discovers the idealist with the feet of clay. She learns of his relationship with Grace by meeting the woman in person. In the process, Grace shares with Marmee the horrors her husband faced during his service, details of which he never conveyed in his letters. His compromises with regards to fidelity and truth leave Marmee feeling betrayed and angry. Soon, however, she finds that she too must compromise on the truth when it comes time to write to her girls of their father’s progress. 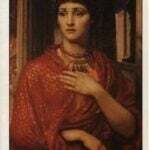 It is this questioning of herself that causes Marmee to compromise on her anger and rededicate herself to her husband. Recognition of mutual brokenness ultimately preserves the union. March is a compelling, albeit uncomfortable, read. Brooks does a masterful job of integrating the history of the Alcotts along with the story of Little Women to create a multi-layered epic story with real and poignant characters. Every element of this story is painted in shades of gray, challenging the lofty idealism of the characters often portrayed in black and white terms. The true strength of the characters lies in their ability to adapt to the changing landscape. Fidelity is challenged but not sacrificed. An evolving reader, I have found March to be an important stepping stone to a more sophisticated and critical approach to reading. 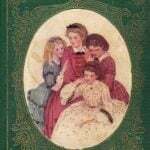 It is an excellent companion to Little Women, providing a decidedly adult approach, broadening and deepening the story of the March family. 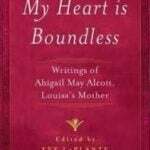 — Contributed by Susan Bailey, a lifelong student of Louisa May Alcott. 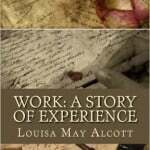 She maintains the only blog devoted exclusively to Alcott, Louisa May Alcott is My Passion. *This post contains affiliate links. 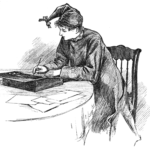 If a product is purchased by linking through, Literary Ladies Guide receives a modest commission, which helps maintain our site and helps it to continue growing! March does not keep a lock of Grace Clement’s hair. The lock of hair is that of a child who was killed in the capture of several slaves. His name was Jimse and he was the son of Zannah, another slave. Paloma, thanks for your comment. I’ll see if I can get the author of this post to respond.